Alex Silvester spent some time in The Gambia, West Africa as a Peace Corps volunteer, working on tree-planting and vegetable-planting projects. During that time he traveled extensively in West Africa. 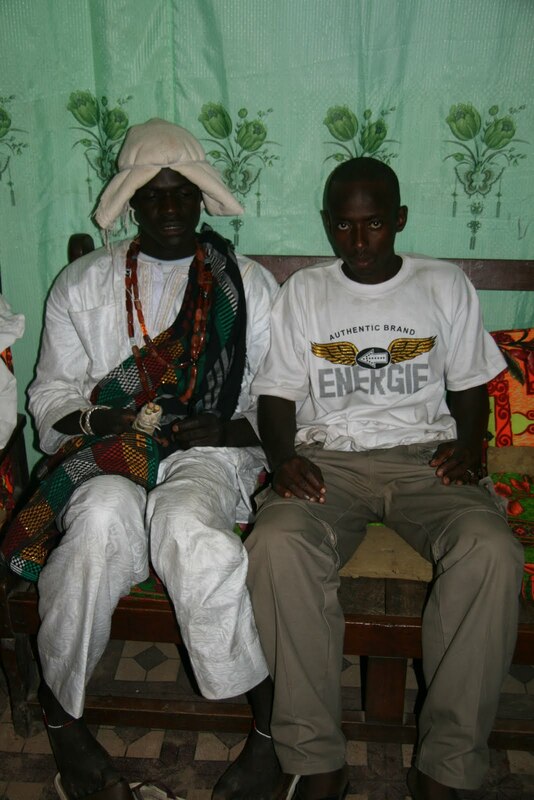 In November 2009 he attended a wedding of the Fula people in Gambia. The Fula, also known as Fulani, are a nomadic or semi-nomadic people scattered all across the desert areas of Africa. They were among the first African peoples to accept Islam and today are 99% Muslim, though their actual practice of Islam varies widely. I had been waiting all day for this moment. I watched as the women filed into the compound. I asked the man next to me where the bride was. He pointed to a brightly clothed woman. I was confused. My host sister was getting married, but the woman he pointed to was not my host sister. I asked again and this time he said look behind. Then I saw her, my host sister. 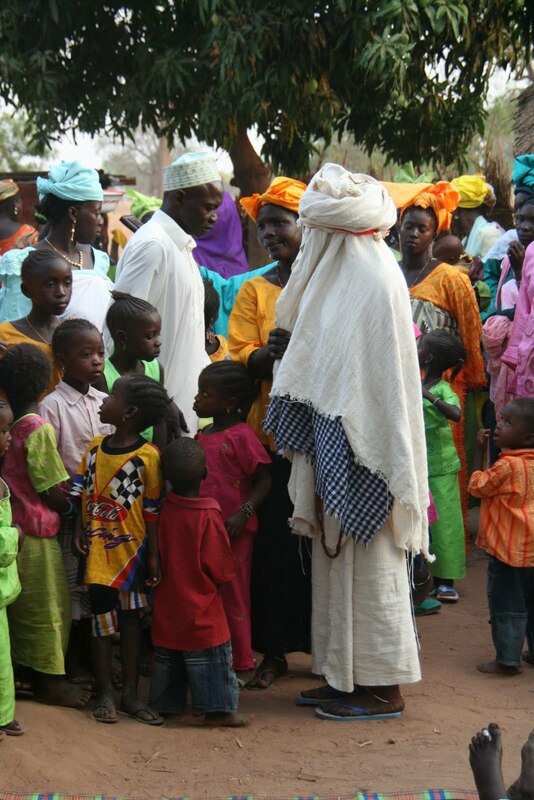 She stood huddled behind the women wrapped from head to toe in fula fabric (Fula fabric is traditional fabric made by hand by the Fulas). She reminded me of a mummy because I could not see any skin. I do not know how she breathed. It was a hot day and the fabric covered her face. A man picked her up and laid her down on a prayer mat and the official tying of the knot started. The wedding began the day before in the bride’s father’s compound (where I lived). It started with a big lunch for all the guests. My compound killed two goats. I never saw my host sister the whole day. She stayed in the house, while everyone else was dancing, cooking, talking, and having a good time. Right before dark, the gifts were brought out and a crier started to count all the presents. My host sister had over 40 buckets, 250 meters of fabric, and 70 bowls not to mention the other household items she received. Each guest brought a present. To me, it seemed such a waste to have some items of the same kind because these people do not have enough money to replace their own broken bowls and buckets, but one woman gets more buckets, meters of fabric and bowls than she could use in her entire life. Later I learned the presents are actually shared with the family and friends. Around 1 am, a gele (bush taxi) showed up with the groom contingent. After a couple of hours the groom left taking the bride to his village. Women, the bride’s family and friends, go in the car to the groom’s village. The bride’s parents do not go. The women were all crying (extremely uncommon in Gambian culture) because my host sister was leaving her village for good and may be visiting only rarely. Men usually do not go, but my family encouraged me to go to the groom’s village to see what happens next. The bride contingent stayed the entire morning in a different compound while people arrived in the groom’s compound. The women cooked. The men chatted. The kids chased each other around. Around two, the bride’s contingent showed up in the compound to look at the cow to be slaughtered for the meal. They approved and the dancing began. I helped a man from my village kill the cow and cut up the meat. In the evening the bride and her contingent showed up in the compound as the sun was going down. I sat in the back watching as a family friend picked my host sister up to lay her down on the prayer mat. All the men were sitting around her. The groom was sitting a couple of rows back. Many men spoke and blessed the two. Then everyone got up and I could not see where my host sister went. Luckily a woman explained to me what was going to happen. I quickly followed a bunch of people as they headed to the open well. My host sister went through the ritual of what she must do before she can enter in her “married” house. She knelt on each side of the well. She washed her husband’s clothes splashing everyone when she finished. She then went to the cattle field where a kid milked a cow. She finally was able to take off the fabric around her head and put it on the cow. Now she was ready to enter her house. As she approached the door, the groom’s friends would not let her in. The women’s friends must pay the fee to enter which is not more than 2 or 3 dollars but there was a lot of negotiating the price down. Then the women ran in trying to smear cream on the groom’s friends as they tried to escape. The women then took over the house. The bride was in her house and the women stayed there all night talking, eating, and congratulating the bride. The party continued the next day. 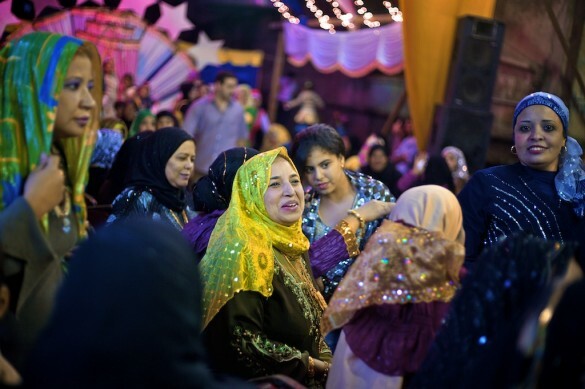 Fula weddings are always three days, with much eating, dancing and celebrating. 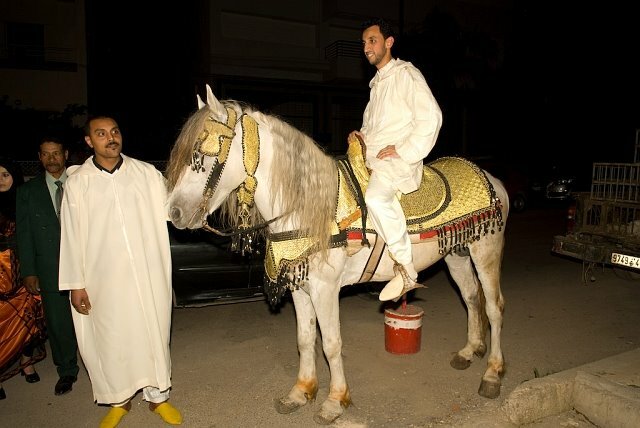 A blog called “The View from Fez: Observations from the Medina of Fez in Morocco” published a nice series of photos of a traditional (if somewhat lavish) Moroccan wedding in the city of Fez. 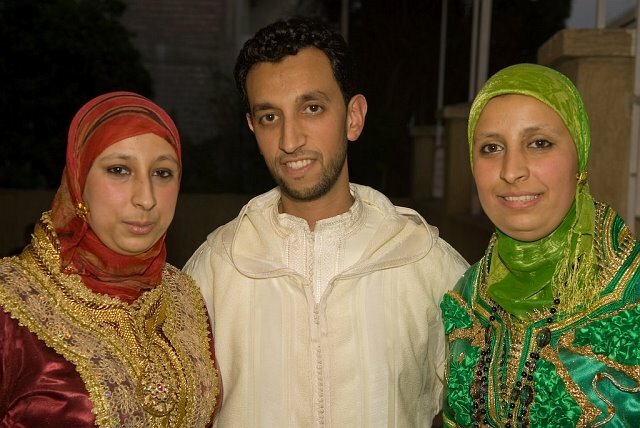 The authors of the blog were invited in 2009 to attend the wedding of Si Mohamed and Hakima, a Moroccan couple. Tom Fakler took the photographs. 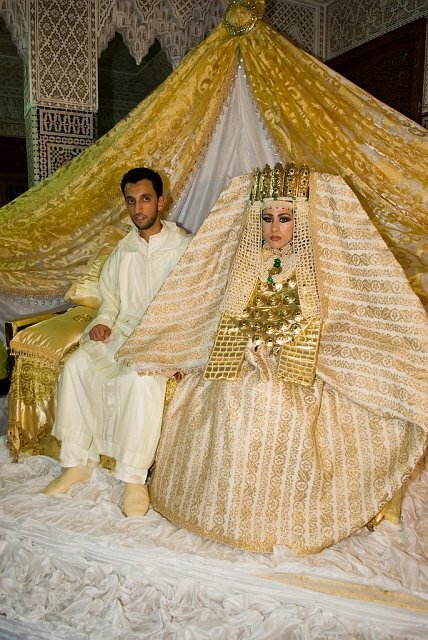 The bride and groom were married a few months ago, but according to Moroccan and Islamic tradition, couldn’t begin their life together until they had celebrated properly with family and friends. 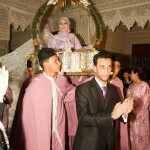 The party, known as a walimah, took place at one of the wedding halls in the new city of Fez. 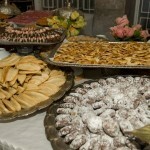 The wedding guests are treated to a multitude of sweet cakes, mint tea and fruit juice. Everyone enjoys the party as bride and groom dance. 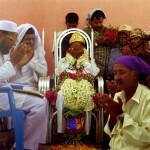 Below are a few photos of a colorful Muslim wedding in South Karnataka, India. Photos by BoazImages from Flickr. 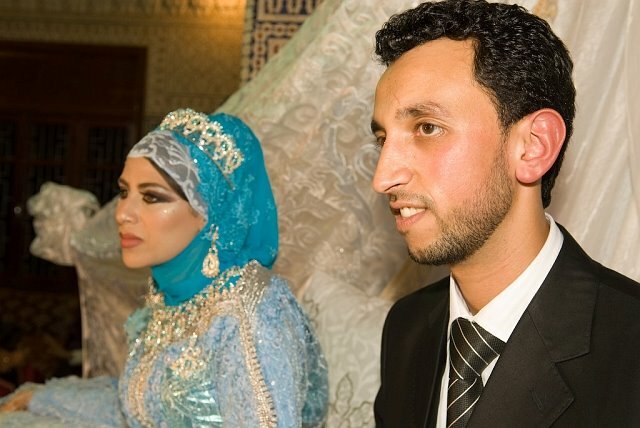 Readers are always welcome to send us their Islamic wedding photos. 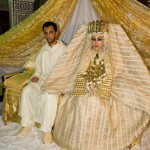 We are very interested in Muslim wedding customs and traditions all over the world. 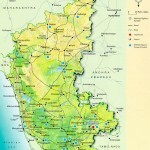 Karnataka is a state in the southern part of India, bordered by the Arabian sea. 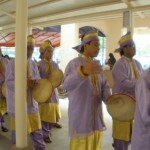 It is an extremely diverse state linguistically and religiously. 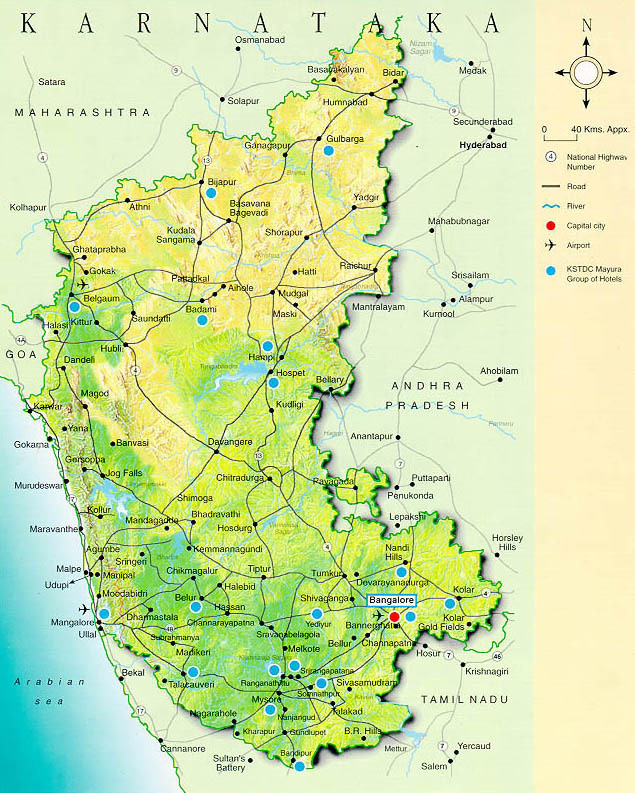 Apart from the majority Kannadigas, Karnataka is home to Tuluvas, Kodavas and Konkanis. Minor populations of Tibetan Buddhists and tribes like the Soligas, Yeravas, Todas and Siddhis also live in Karnataka. Karnataka has made major contributions to classical Indian music, and southern Karnataka has its own distinctive cuisines. Islam, which had an early presence on the west coast of India as early as the tenth century, gained an early foothold in Karnataka. 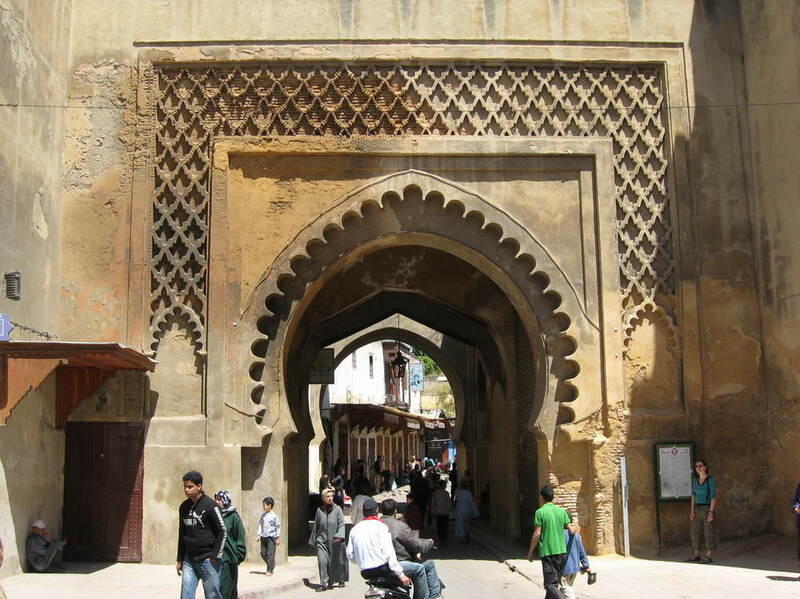 Muslim traders also brought coffee, incense sticks and paper to the local economy. With the creation of Deccan Sultanates and the entry of Mughal rulers, Islam became the predominant religion in regions like Gulbarga and Bijapur. 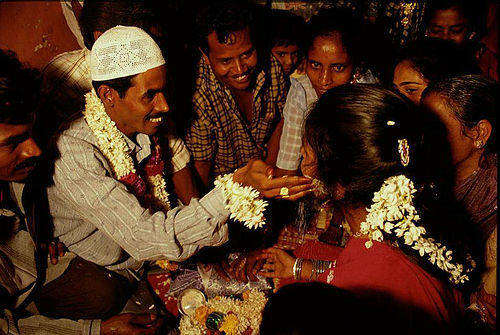 While Hinduism is the majority religion, there are today more than seven million Muslims in Karnataka. Bangalore, which has become one of the top information technology cities in the world, has over one millioni Muslims. 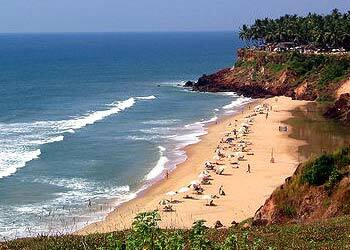 Karnataka is a place of beautiful scenery and plentiful wildlife. 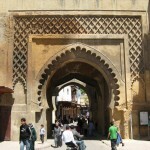 It is also full of historical Islamic mosques and forts. The Khwaja Bande Nawaz Durgah in Gulbarga is regarded as one of the holiest Muslim sites in Karnataka. 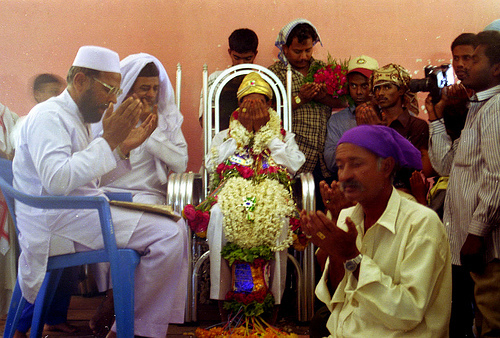 Men and the groom pray in a colorful muslim wedding in south Karnataka, India. The bride and the women stay in one room while the groom and the men stay in another room ( much bigger ) As seen in the photo the bride is young and appears very solemn, but both were smiling the day after. A fun part of the Wedding. The groom and the Bride’s sister put colors on each others face. Winter time is wedding season in Bangladesh. They are easy to spot: huge strings of lights in front of houses and hotels throughout the city. 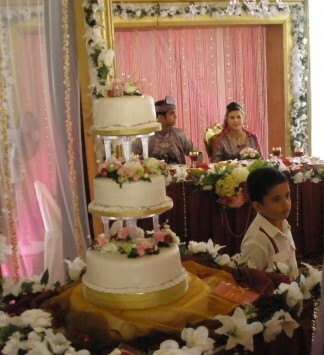 Bengali wedding are elaborate affairs that involve four or five days. 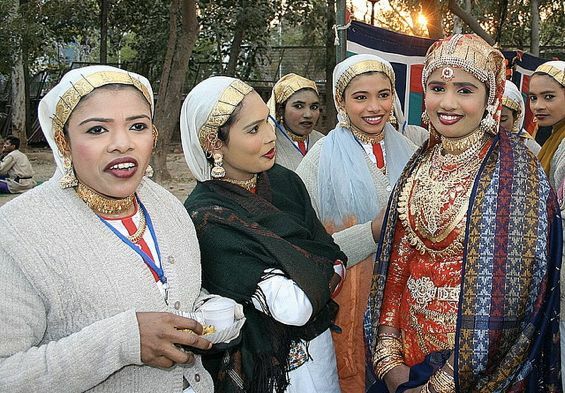 Weddings are of course held round the year in Bangladesh like any other country, but the favorite season for weddings in Bangladesh is winter. Since Bangladesh is tropical in climate, summer is the hot and humid monsoon season, while winter is mild and pleasant from October to March. Rural communication and travel are also easier and less hazardous in winter. 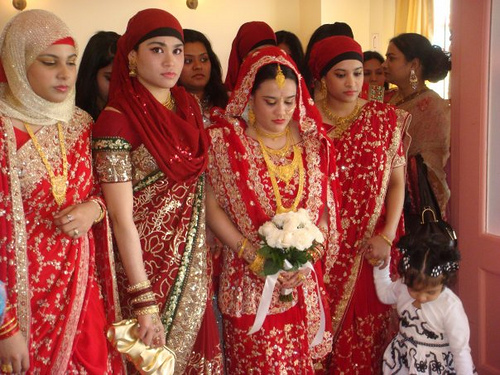 Bengali weddings generally meet all the formal requirements for a marriage in Islam, such as consent of bride and groom, the presence of witnesses, payment of the mahr (dowry) to the bride, etc. 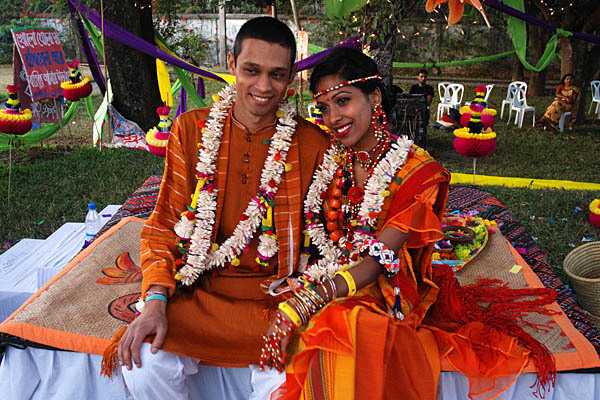 Beyond these legal requirements, a Bengali wedding is the most pompous and elaborate of all social ceremonies in Bangladesh. The above photo is not a political rally. It’s the grooms extended family arriving for the festivities. For good or bad, people of all classes from the poorest farmers to the richest elites spend to their utmost economic abilities to stage an elaborate and memorable wedding ceremony. In ancient times, the bride had no right to choose a husband and no choice in the matter, in spite of the fact that this is a violation of her Islamic rights. It was a part of the culture. 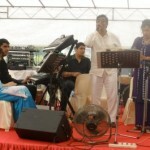 The marriage was arranged by the parents and the bride had no right or thought of refusing. In modern days attitudes have changed. This is partly due to greater education among the population, especially the education of women, and partly due to a greater awareness of proper Islamic teachings. The personal choices of the bride are more commonly respected now. Forced marriages still occur but are not the norm. 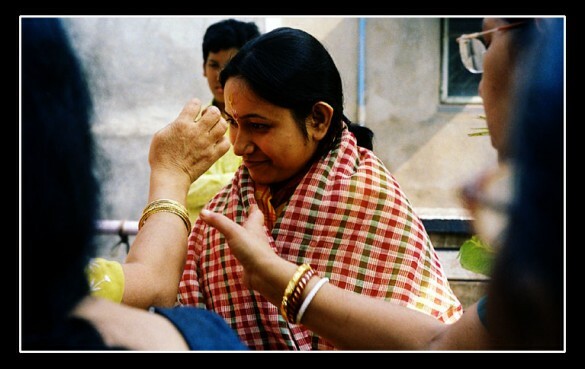 This is the first stage of the elaborate Bengali marriage process, in which the ring is given to the bride by the guardian of the bridegroom. The bridegroom’s guardian would normally be his father, or if the father is absent then the mother, or of both parents are absent then any elder relative such as a grandparent or uncle. At this time the date of the wedding would be set, as well as the amount of the mahr, or as it is called in Bengali, the Denmahor. 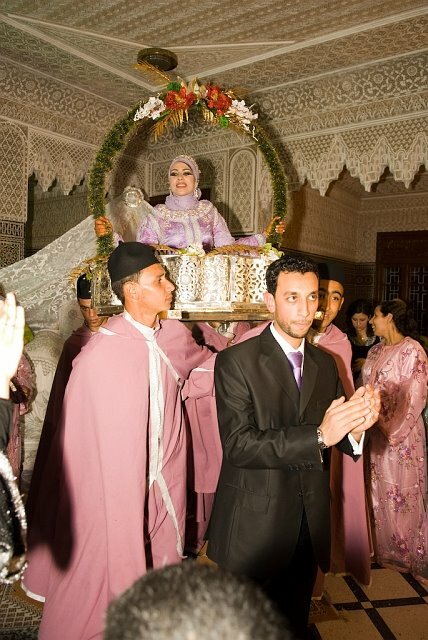 The Denmahor is a gift given to the bride by the groom, and can consist of cash, gold or any other significant asset. The amount depends on the financial ability of the groom and will be negotiated between the groom and the bride’s representative. 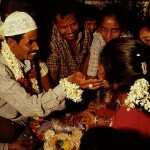 Typically in Bangladesh half of the Denmahor will be paid at the time of marriage, and the remainder will be paid in the future according to an agreed schedule. The Gaye Hulud is sort of a pre-wedding festival and is one of the most interesting parts of the Bengali marriage process. It is arranged at the houses of the bride and the groom as well. 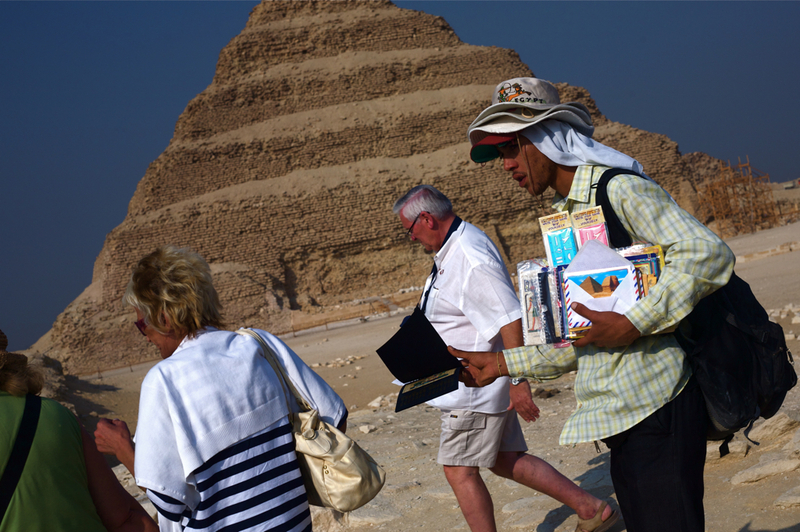 The children and youth of the groom’s family go to the bride’s house with various gifts that are necessary for the Gaye Hulud festival. They bring a sharee (a type of garment), a flower garland, turmeric paste, mehendi paste, and sweets. 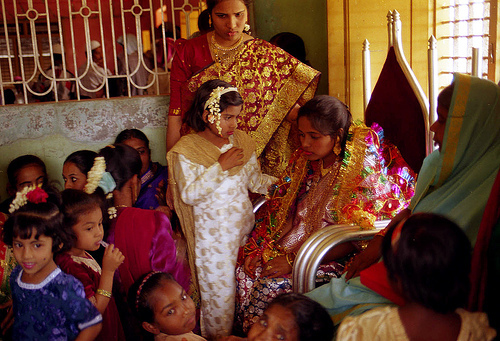 The bride puts on the sharee and flower garland, and the girls smear the turmeric paste on the bride’s body. 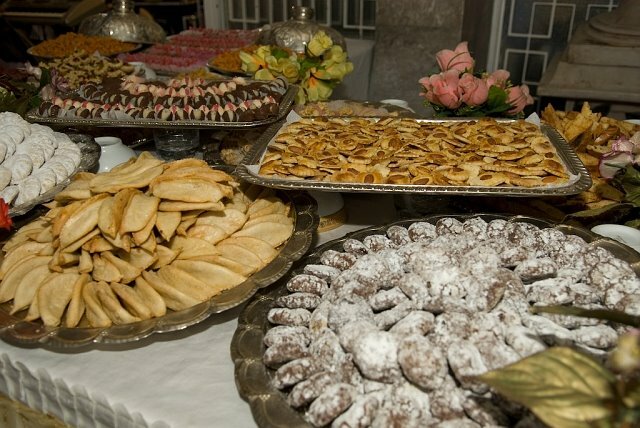 Then the sweets are distributed to everyone to enjoy. 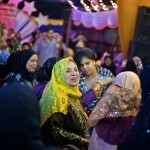 Similarly, the youth of the bride’s family go to the groom’s family and initiate a similar festival. The Gaye Hulud ceremony. Hulud is turmeric, a spice which since ancient times has been used in beauty treatments for girls. Gaye means body. (Both in Bengali) Turmeric is known for its antiseptic and cosmetic properties. 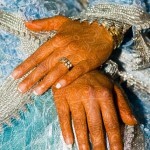 'Gaye Hulud' is a pre-wedding ritual where a turmeric paste is put on the girl. 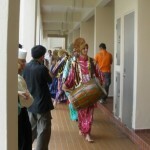 This photograph is taken during that ritual. The convention is that the paste is put all over her face, arms and feet. Nowadays, however, due to the fact that turmeric is a dye and if put all over the face in considerable amount, may leave a stain which might be difficult to remove before the wedding), it is applied only to her forehead (as you can see in this photograph). Though there is always a popular demand to put it on her face, and some ensuing commotion. 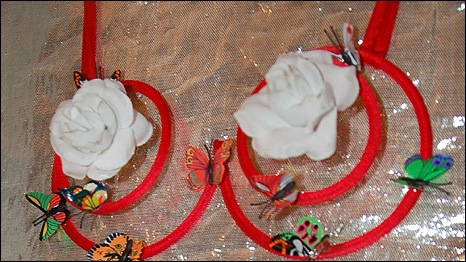 That evening, the mehendi festival takes place at the bride and groom’s house simultaneously. 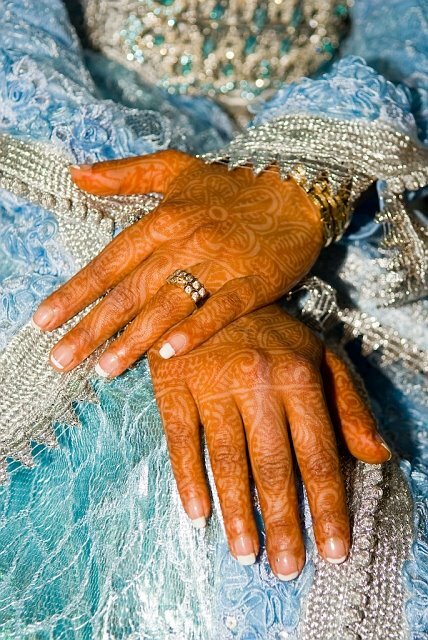 The girls of each household draw beautiful designs on the bride’s hands and on each other’s hands. 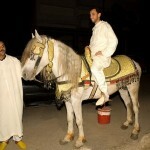 The Biye is what is called in Arabic the nikah, or the marriage itself. 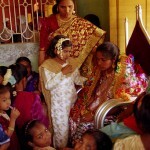 In Bangladesh, this traditionally takes place at the bride’s house. First, a ritual called Doi Mangole takes place, in which curd is mixed with chira and doi, and is given to the groom to eat. 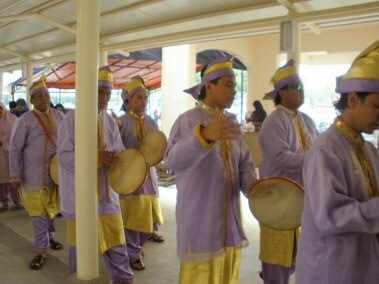 Then the groom and his relatives proceed in a march to the bride’s house. 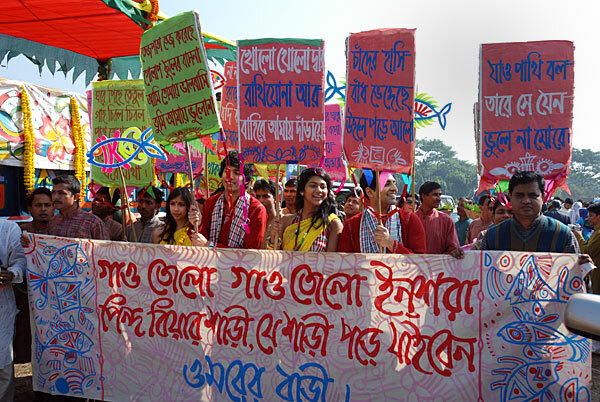 This festive journey is called Barjatra. 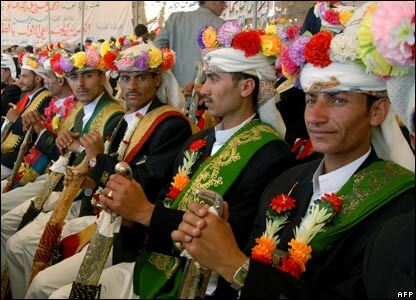 Upon arrival, the groom’s guardians give some gifts to the bride, such as a sharee, ornaments or jewelry, and cosmetics. 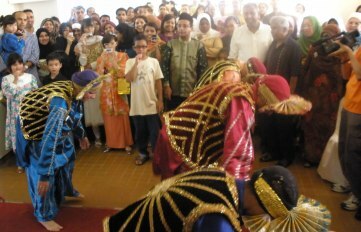 A religious leader, Maulana, or Marriage Registrar performs the main event. He begins by reciting scriptures from the Holy Quran. Then he asks the groom if he accepts this woman to be his wife. Upon receiving the groom’s consent, the Marriage Registrar along with two witnesses (generally respectable relatives from both sides) goes to the bride, who sits separately on a stage, surrounded by her female relatives and friends. The Maulana or Registrar names the groom with his full name and tells her that this man wants to marry her, and he asks her if she consents as well. The question is asked three times, and the reply should be given three times as well, so that no doubt remains that the bride consents of her own free will. The Registrar then confirms with the witnesses that they heard the consent of the bride. After getting the bride’s consent the Registrar gives her the marriage contract to be signed, then the team returns to the groom and obtains his signature as well. 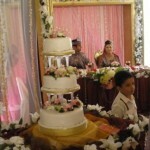 At this point the couple are considered married, and the formal part of the marriage ceremony is over. Now the feast takes place, and every invited person attends. 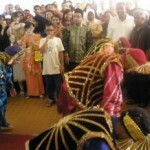 Customary dishes are polow, biriani, roast chicken, and sweet desserts. Biryani being prepared for the occasion. 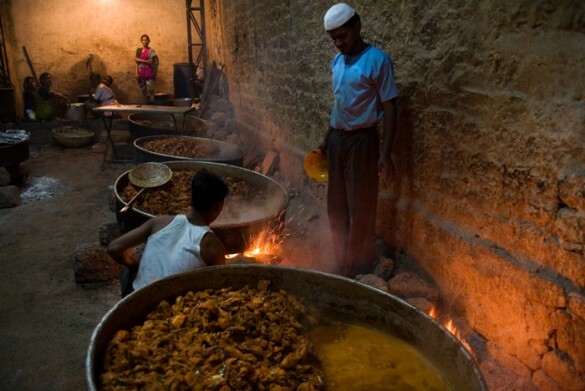 Biryani at most wedding feasts is cooked in huge cauldrons outdoors and stirred with a spoon as long as a boat oar. In Bangladesh, the biryani is made with long-grain rice, goat meat, potatoes, prunes, rose water, saffron, and plentiful butter and cream.The meat is marinated in yogurt and spices and the ingredients are layered on top of one another. The result is a golden medley of rice, meat and potato. The prunes grow plump and caramelized, the meat is soft, and the potato is sweet and delicious. Finally at this point the groom goes to the bride’s stage. If she is wearing a veil then he lifts her veil and their eyes meet, and they exchange their flower garlands in a ritual called Shah Nazar. This is assisted by the bride’s sisters and sisters-in-law. 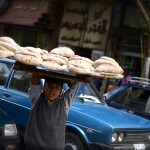 The Bashar Sajja or bed of flowers is the honeymoon bed. After all the formalities of the wedding and the feast have concluded, the bride and groom are sent alone to a separate room. This room will have been nicely decorated by boys and girls from both families. The room will be filled with natural flowers, multicolored papers and perfumes, and the bed also may be strewn with flower petals. In this lovely room the groom and bride meet intimately for the first time. The Bou-bhat ceremony takes place at the groom’s house. The groom formally introduces his bride to all his relatives. 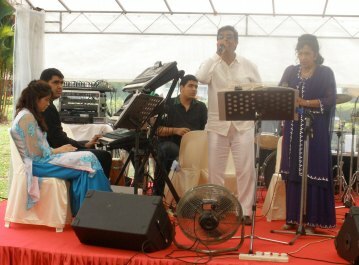 The relatives of the bride also attend this function, as well as friends and relatives. While some of these functions may sound rather formal, in reality they are all social occasions which quickly turn to merry-making, singing and dancing. – Courtesy of Sayma’s Weblog, rewritten by Zawaj.com for clarity. 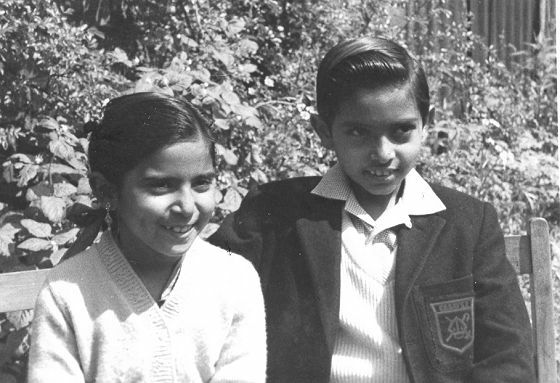 Rashid and his sister Amina Kholwadid who were the first Gujarati Muslim children to enter the educational system in Gloucester. The story below is part of the Gloucestershire County Council’s Untold Stories series. 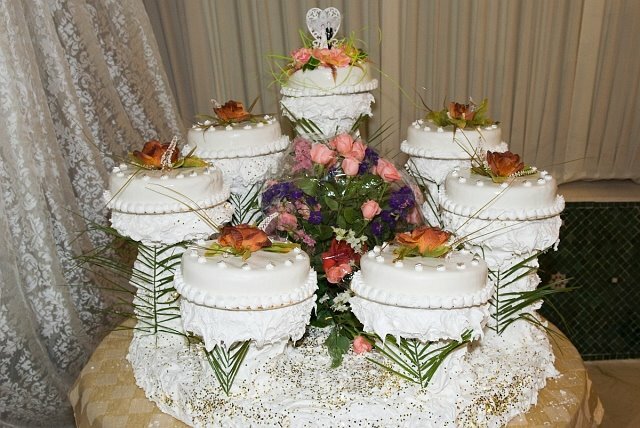 Zawaj.com is a Muslim marriage website that also has many unique features, including a section on Muslim wedding photos, and another on Muslim wedding customs around the world. So what I mainly found interesting in this article was the historical photo of the first Gujarati Muslim wedding in Gloucester, UK, on April 21 1972. And note that the schoolboy Rashid on the left, who (along with his sister) was the first Gujarati Muslim school child in Gloucester, is also the groom in the first Gujarati Muslim wedding in Gloucester! Cool, huh? Ma-sha-Allah. 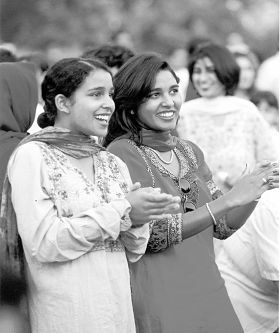 The bulk of the Gloucestershire Gujarati Muslim community arrived in England during the 1960’s, in response to a call from the Commonwealth leader for workers to meet the demands of the labour shortage. They came from towns, cities and even remote villages from Gujarat State in India. What kind of obstacles did they encounter? 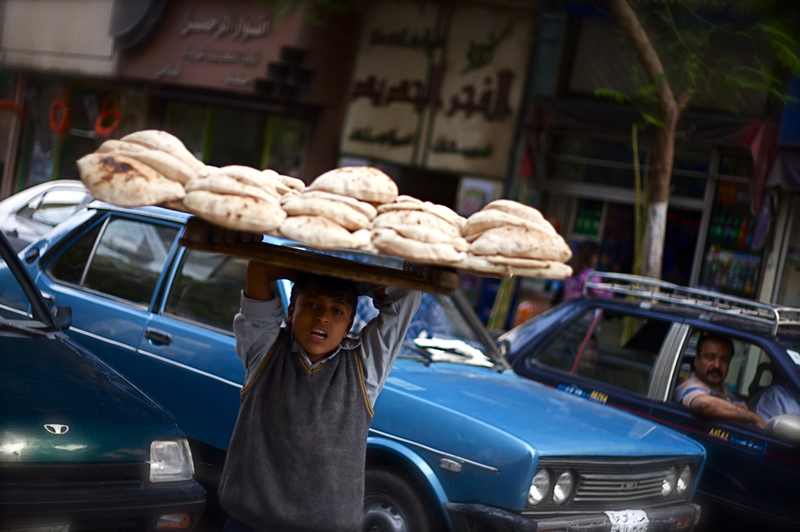 Most émigrés remember the harsh, frigid winters with icy roads, and fridge-freezer air. They coped with very different working conditions. There was no siesta or break during the day – just one long 8-12 hour working shift. Most laboured at the mills and factories of Lancashire and Yorkshire and moved often, to find work elsewhere. They were wanted as factory hands and labourers. Those with professional qualifications were informed they were not wanted. 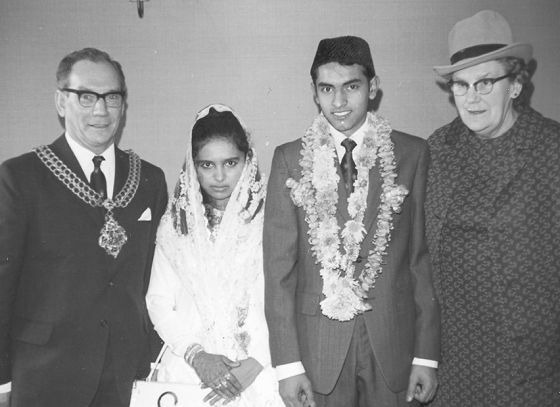 Rashid and Sarah with the city Mayor Harry Worral at the first Gujarati Muslim wedding in Gloucester on April 21 1972. Gloucester boasted very little industry in the late 50’s and early 60’s and so many worked in hotels at first and transferred later to such companies as Williams and James Engineering, British Nylon (Du Pont, Brockworth) and Walls Ice Cream. Many private and commercial companies candidly told job interviewees that they ‘weren’t hiring blacks’. It was quite legal to do so before the Race Relations Act criminalized such practices. In the absence of families and long-term friends, the men formed close friendships with their compatriots and joined together to purchase properties to use as flats and houses. Many landlords in the sixties would hang “No Blacks” signs in their windows. Thus the arrivals had no choice but to buy the properties outright to enjoy a roof over their heads. Some of the earliest men to arrive became known for leasing out rooms as temporary accommodation for new arrivals. Some beds would actually never turn cold, as a daytime worker would vacate the bed for a nightshift worker in the morning. It seems that there is a disproportional representation of Gujarati Muslims in Gloucester. But there seems to be a similar pattern of disproportional representation in most regions in Europe. For example, there is a Sikh majority in Hounslow, and mostly Hindus in Leicester. This could be the result of colonial ties and also the fact that first arrivals would become contact points for later arrivals. 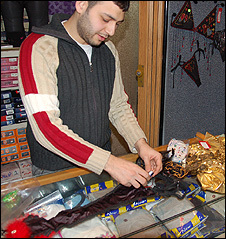 As a result, if several Gujarati Muslims had established themselves at an early stage in Gloucester, later arrivals would find the path ‘already beaten’ and reap the benefits. 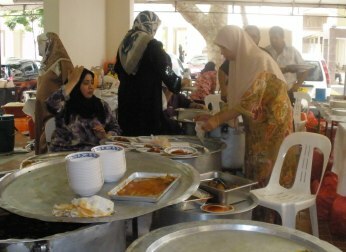 A Muslim community has to abide by dietary protocols and Muslim butchers soon appeared. Similar to Jewish Kosher food, Muslim Halal meat is obligatory for all. Today there are five major grocery/butcher shops in central Gloucester that cater not just to Muslims but to any person who appreciates vegetables and spices not commonly found at regular shops and superstores. 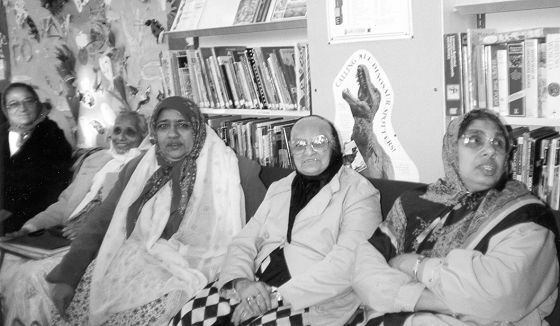 Members of the community at the launch of the library Gujarati video service in 1994. 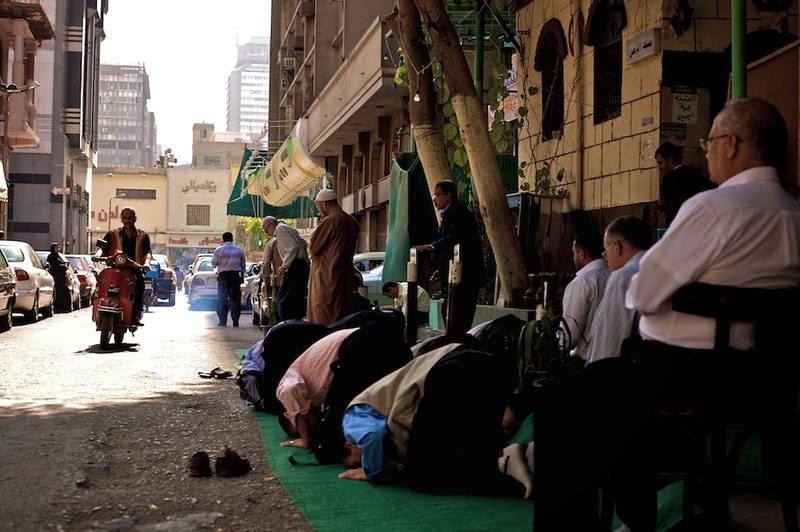 The men, at first, used empty rooms in their own homes as places of congregational worship, but soon banded together, raised funds and established mosques for their burgeoning communities. The two domed mosques in Gloucester today are difficult to miss but are quite recent additions. 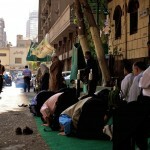 For decades, men prayed at non-descript buildings that had originally served as warehouses or TV Rental shops. Later, the families joined the men and experienced the strange land of England from another viewpoint. Men experienced England from a working man’s perspective. Wives and mothers saw England through a female prism. The children entered schools and came to know England from another completely different standpoint. As bilingual children, the youth quickly adopted the norms and culture of their host country and thus weaved between two foreign worlds, able at a moment’s notice to switch from the dialect of an English borough to the idioms of a state many thousands of miles hence. Always conscious of being the ‘outsider’, young people kept a low profile and were often perceived as diffident, shy individuals. Teachers would often report them as ‘model’ students, perhaps because they were least likely to cause incidents in the classroom and because they were disciplined by parents to work hard at school. Discipline for youth was uncompromising. English schools then also used corporal punishment and it was certainly practiced at the ‘Madressah’; a school attended by Muslim children every evening after regular school. Nowadays, this form of discipline is outmoded, partly because of recent laws regarding child rights but primarily because second and third generation parents are less tolerant of excessive smacking and caning today. At the Madressah School, usually based in a room at the local mosque, children learnt to recite the Holy Koran (the Koran is to Muslims as the Bible is to Christians), to practice different forms of worship and to understand laws and scripture from books written by scholars and teachers. The Koran is written in Arabic but children aren’t taught Arabic grammar or even the meanings of words. Children are taught the sounds of letters and words which they learn to recite. Imagine reading this paragraph aloud but without understanding any of the words or the sense of the sentences? Recitation of the Koran is an important form of worship but some parents are addressing the Arabic language gap and attending Arabic classes with their children. A few Indian families in Gloucester speak Arabic exclusively to their young infants. 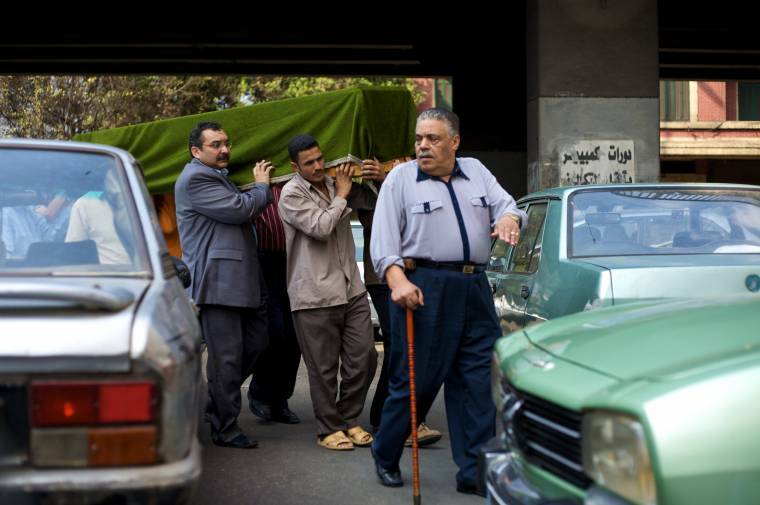 After all, the language of the afterlife will be Arabic, so a ‘headstart’ is prudent. Fathers and grandparents didn’t always come to England direct but often lived a generation in a third country as guest workers. Perhaps passage to England could prove to be too expensive. One source claimed Nehru, the Indian Prime Minister prevented Indian citizens travelling to England because he feared they were being exploited by the colonial ‘mother’ which was making professional migrants undertake unskilled, low paid manual work. To avoid the barriers many men first obtained visas to a third country and then moved onto England. The author has found no data to confirm this but it’s certainly how one person remembers it. 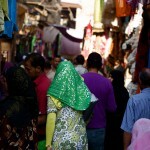 Indian Muslims are a minority in England and a minority in India. Other nationals, such as Pakistanis are gifted with a genuine homeland. Indians are conscious of being in the fringe, even in their parents’ country of origin. Their parents and grandparents establish their roots during childhood through everyday memories of family and a sense of belonging to their homeland. Younger community members, born in Europe, may visit the ‘mother’ country briefly and may identify a few faces from family photograph albums. But the connection to the ‘extended’ family is tenuous and there can often be a language barrier. Watching events at the Asian community event held in the city park as a part of the annual Gloucester festival. The young generation occupies a larger footprint in this country’s industrial and commercial sectors than their forebears. Fathers and grandparents, confined to manual labour, dreamt of higher ambitions for future generations. Today, sons and daughters are employed as factory hands, IT Professionals, lawyers, doctors, architects and also self-employed as business-owners. More recently, adults and teenagers joined the British Army, marking an enormous cultural leap. Would the Army allow the observance of prayers and sensitivity to dietary restrictions? The MOD has relaxed a number of regulations to encourage ethnic minority participation. 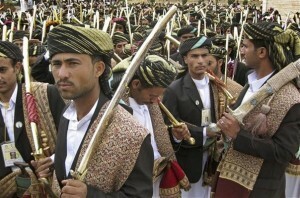 The Muslim Territorial recruits enjoyed the Army experience without jettisoning their Muslim observances. One Muslim recruit is considering a full professional career with the Forces. Invisible ceilings denying access to many job sectors have become porous. Sometimes the barriers are within. Young people have rarely participated as members of Gyms or other leisure clubs. Membership costs can be prohibitive and even today there is an untapped fund of talent for certain sports. There has admittedly been an insular attitude stemming from the elderly generation and infecting the young men and women. However, the spirit of youth often dares to step outside the box. The elderly Asian population, though small, is increasing. Those who migrated during the 60’s were relatively young and are now facing old age in Great Britain; something for which they did not plan. The current elders did not envisage remaining in Britain permanently. Their objective was always to earn some money, and to try and improve the standing, conditions and circumstances of the extended family back ‘home’ in India. The emotional roots remained in India and still do, to this day. 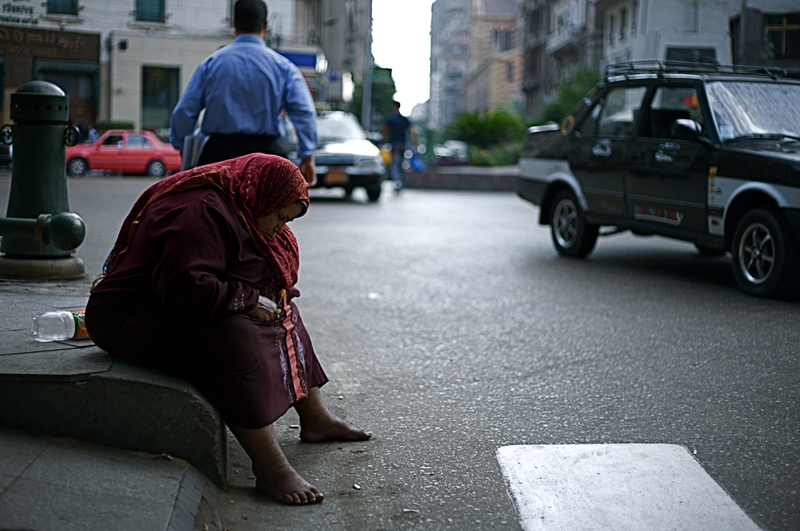 Growing old in a foreign country can raise the spectre of isolation and depression. National research has highlighted the low uptake of mainstream services, especially community care services. 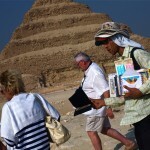 There are specific needs relating to language, culture, religion and tradition. The Asian Elders Drop-in Centre at Hatherly Day Centre and the Mainstream Day Care Provision at Great Western Court (managed by Social Services) respond to these specific needs. These elderly men and women left all that was familiar in their youth and embarked on a voyage to ameliorate the economic standing of their families. They cabled monies to fund buildings, amenities and to succor the general well being of relatives. At the same time they raised their own immediate families and established a quality of life for their sons and daughters unknown to themselves in their youth. They sacrificed with a purpose, and people on two different continents have reaped the benefits. The present generation and generations to come owe a debt of gratitude to the courageous spirit of their elderly parents and one day, perhaps with the help of this history project, will recall the love and labour expended on their behalf. Hind Al-Rubawawi twirls on the dance floor with her groom. Dressed in white, including the obligatory hijab, the 22-year-old university student from Baghdad beams as she gazes at her new husband, Sami Al-Tameemi, and the 50 or 60 guests gathered to celebrate her wedding. Instead of confetti, her new mother-in-law throws sweets, while her young brothers run about with a spray can sending fake snow flakes into the air. It is a joyful occasion, but this wedding, at a dance hall in Damascus, Syria, nearly didn’t happen. 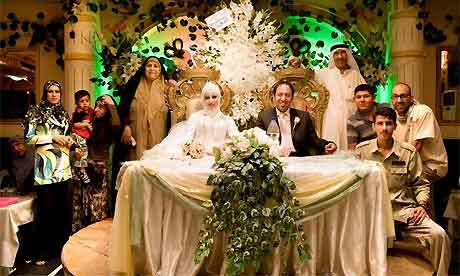 These days it is almost impossible to have a wedding in Baghdad. Some couples, like Hind and Sami, are choosing to marry abroad at great expense, while others forgo the wedding in favour of perfunctory legal and religious formalities. “Often fundamentalists come to break up parties and set off bombs, or fight with the military or the family to make instability,” explains Hind. 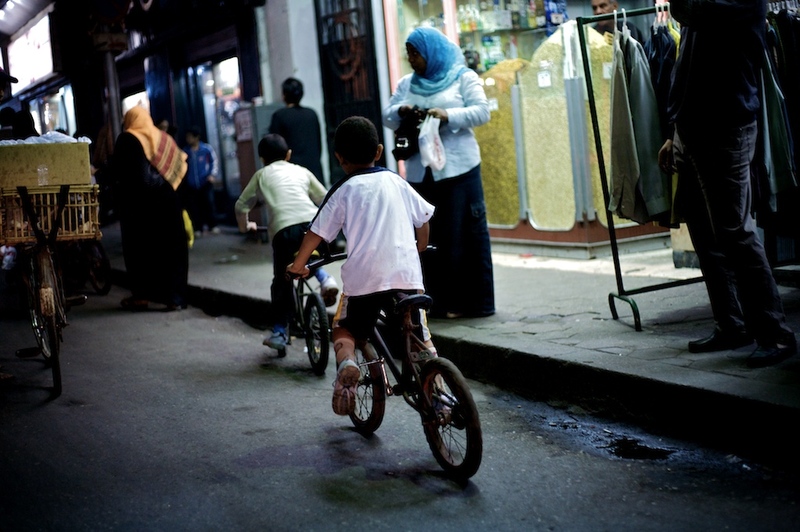 Another reason why Hind and Sami came to Damascus is that 42-year-old Sami is a refugee, legally resident in Norway. 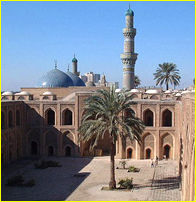 The expense and difficulty of organising a wedding and obtaining visas for both families meant that a Norwegian wedding was impossible, so Damascus was chosen as the next best option to Baghdad. 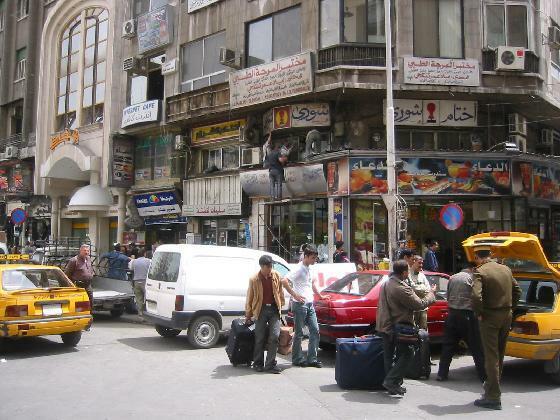 A downtown Damascus traffic jam. 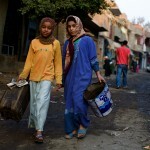 Many Iraqis are choosing to get married in Syria in order to avoid political problems back home. 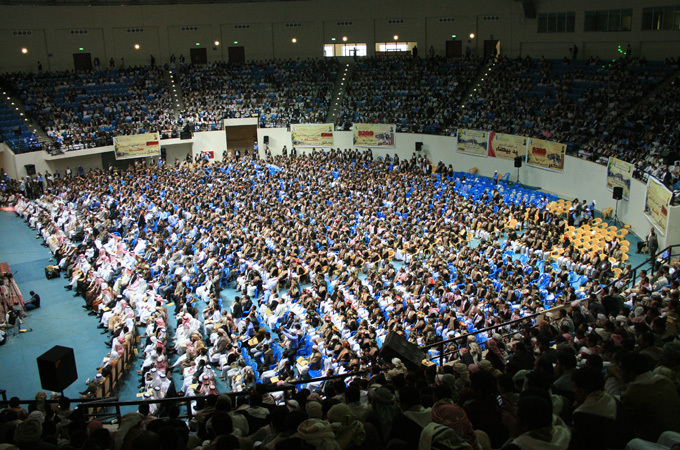 Sami was accepted as a humanitarian rather than political refugee after al-Qaida seized his father’s house and burned his papers. The couple had not met in person until a week before the wedding, but the courtship started seven months ago. 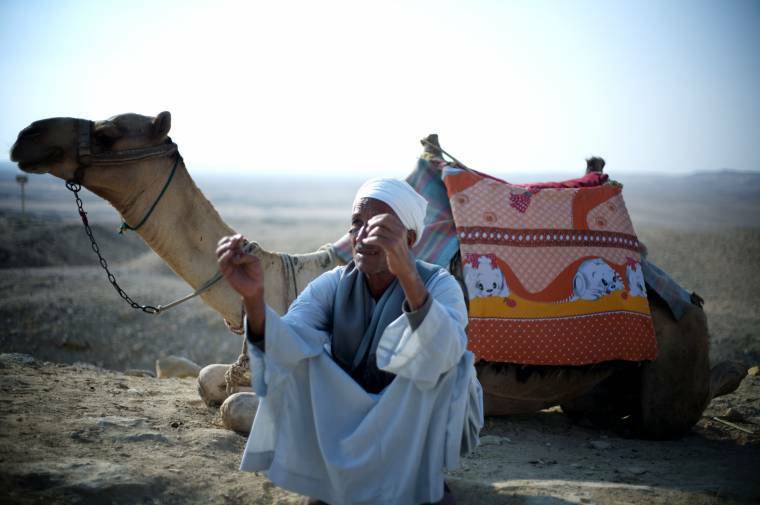 In December, Sami told his friend Hashim, Hind’s uncle, that he wanted to marry. Hashim played matchmaker by contacting Hind’s family and securing permission to pass on her telephone number and email address. The courtship was carried out by phone and on Yahoo! Messenger, with a webcam. Though the couple’s first meeting was at the airport in Damascus, both say it was their own decision to marry and that they are very much in love. Once Sami had proposed to Hind, his family paid a visit to her family. On the second occasion they brought her the engagement ring, a gold necklace and another ring as an engagement present. Sami is also expected to provide Hind with £2,600 as security in the event of divorce. 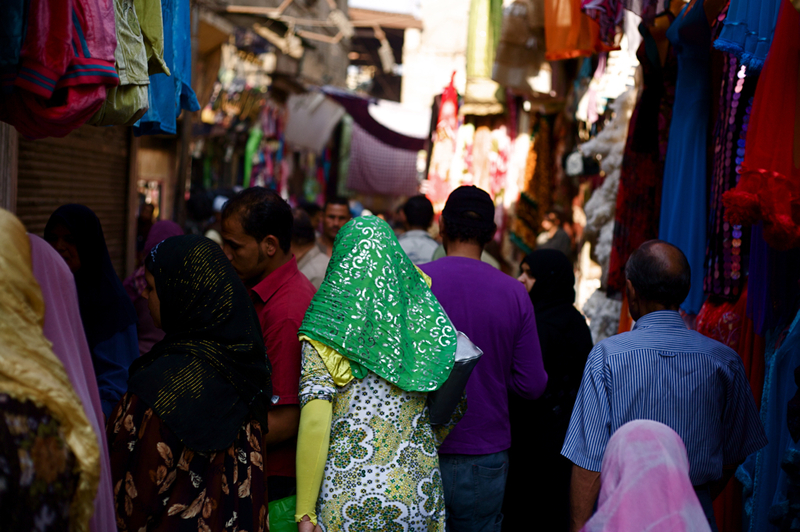 Marrying in Damascus might be practical for security reasons, but it is an expensive exercise. 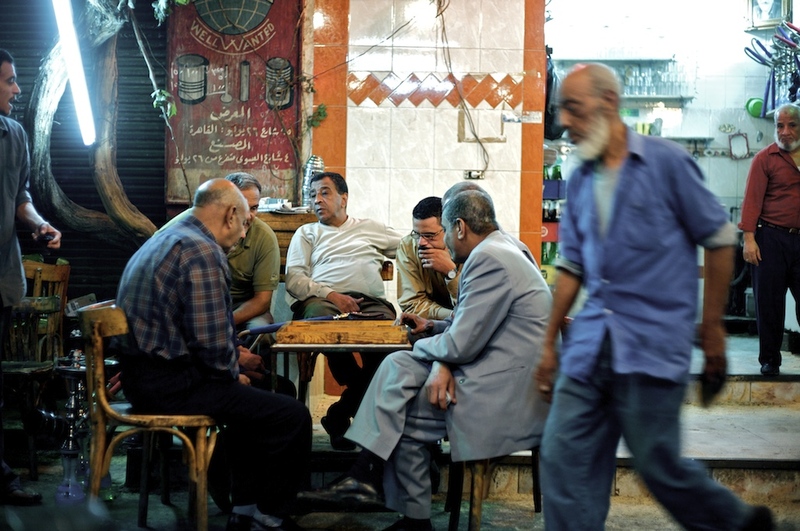 Hashim, a businessman with interests in Damascus, played an instrumental role in securing passports, visas and car hire, and renting apartments in the Sayedah Zeinab area, 10km from central Damascus, where many Iraqis live. Sami is one of 10 children and his mother, father and three siblings travelled to the wedding from Baghdad, while a fourth came from his home in Vienna. 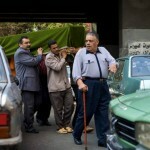 Hind’s mother, grandmother and two brothers travelled to the wedding, but her father and another brother and sister remained behind because of the expense. For the Baghdad contingent, costs ran to £180 each for a passport and visa, £50 each for the businessman’s card that the Syrian government require for every visitor, even Hind’s 78-year-old grandmother, and £20 each for car hire. Hind’s family faced a 14-hour drive from Baghdad to Damascus, but the 10-hour stopover at the border made the journey much longer. 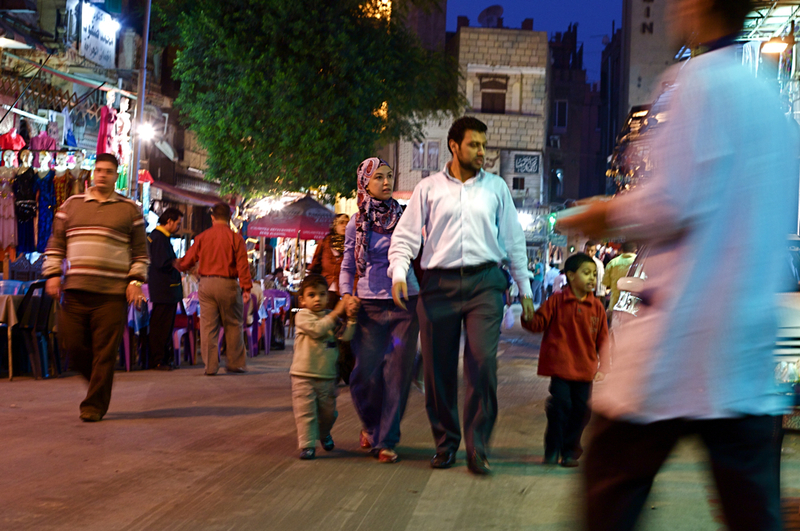 When the bride and groom arrived in Damascus, their first step was to be married by a mullah. Since Sami and Hind are practising Shia Muslims, they could not be together in public until they were married, so the mullah came directly to the family home. During the ceremony, as is customary, Hind was asked three times, in private, if she was being forced into the marriage, to which her answer was no. A few days later came the civil wedding in the courts in Damascus. Sami and Hind repeated their vows before the court officials, and Sami and Hashim shook hands – symbolising the contract between both families. Sami then spent the rest of the day getting papers signed and stamped by various officials. Finally it is time for the party. It might not be on the scale of pre-2003 Baghdad weddings, but the number of family and friends present is an indication of how many Iraqis are now living in Damascus. 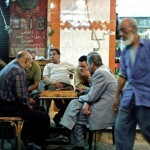 There is a band with a singer – though many people cover their ears to the Arab pop music as the sound system is so loud. 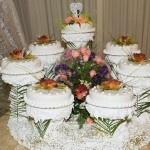 There is a western-style cake, which Sami and Hind cut with a sword. The guests drink Fanta – although a few sip beer secretly under the tables so as not to offend the more religious family members – and eat roast chicken, pita, tabbouleh and hummus. 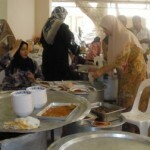 Ordinarily in Iraqi culture, there is a breakfast for family the day after the wedding – so they can check the sheets for the signs of blood they believe prove the bride is a virgin. The custom is waived in this case, not because of any modern sensibility, but because it is deemed sensible to preserve Hind’s virginity until she has the visa to join Sami in Norway. Hind studies French at Mustansiriya University in Baghdad and only has one more year to go, so the couple have decided that she should finish her studies before she moves to Norway. 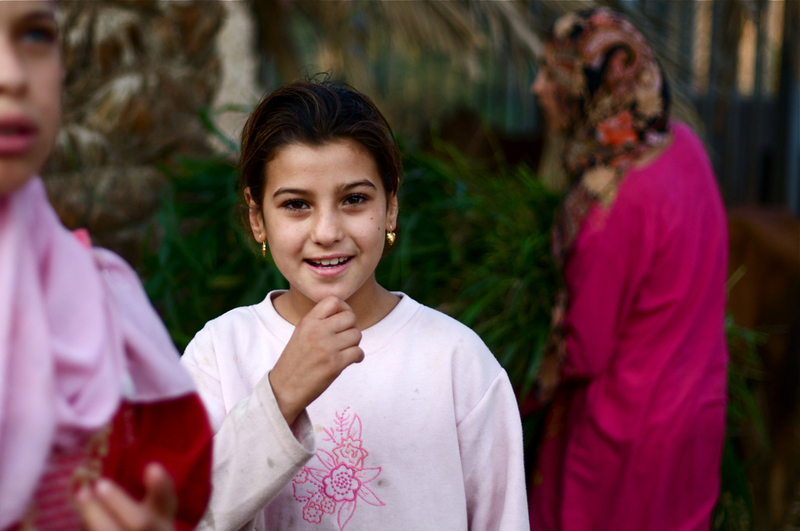 “I would like to get married to a woman who has education so I can have a discussion with her,” Sami says. He is also keen that she study English and Norwegian when she arrives in Norway, so that she can mix with the community. Hind is not nervous about her impending move to Norway. 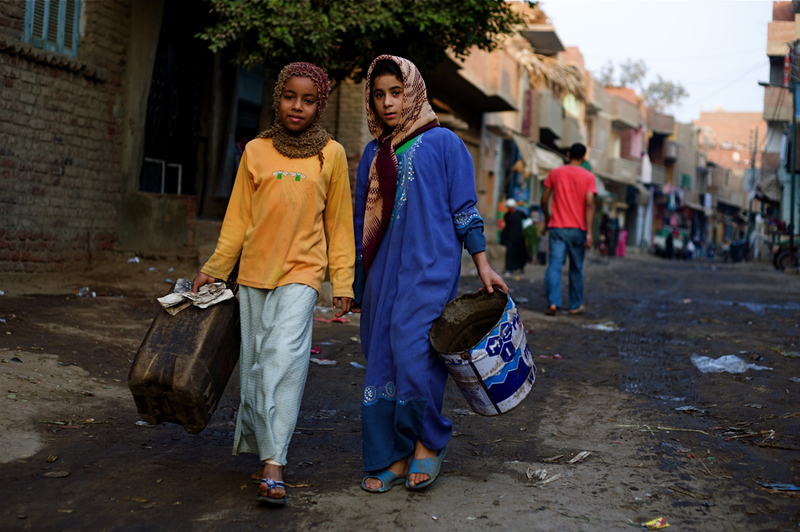 “I think it will be not such a big problem because they have a few Iraqi families there,” she says. “My dream is to make a happy family and I will give 100% to fulfil that vision”.